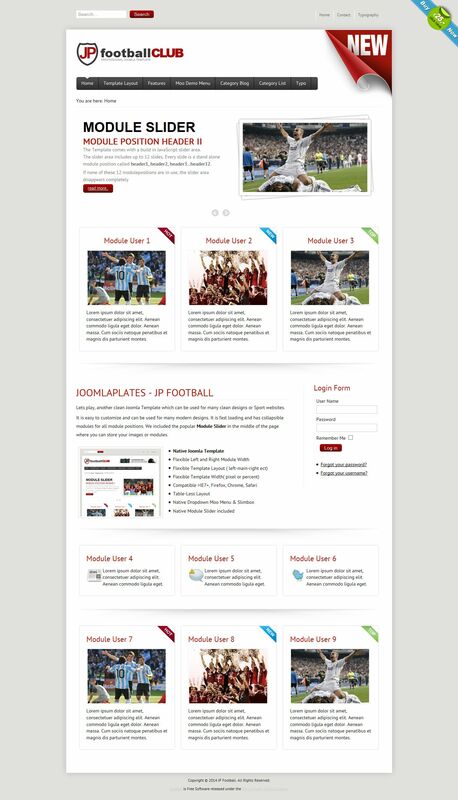 Now you can pay attention to sports-related templates, so manufacturers Joomlaplates, presented their template JP Football , based on modern standards templates. It is universal and suitable for sites of any complexity. It has intuitive interface, user-friendly menu as well as a huge number of quality units that will accommodate all the important sections of the site. In addition, this template has the ability to display images on the site using effects, this contributes to a special module built into the constructor.